The threshold of Love! The dream of an I Do! The fantasy of that perfect dress! 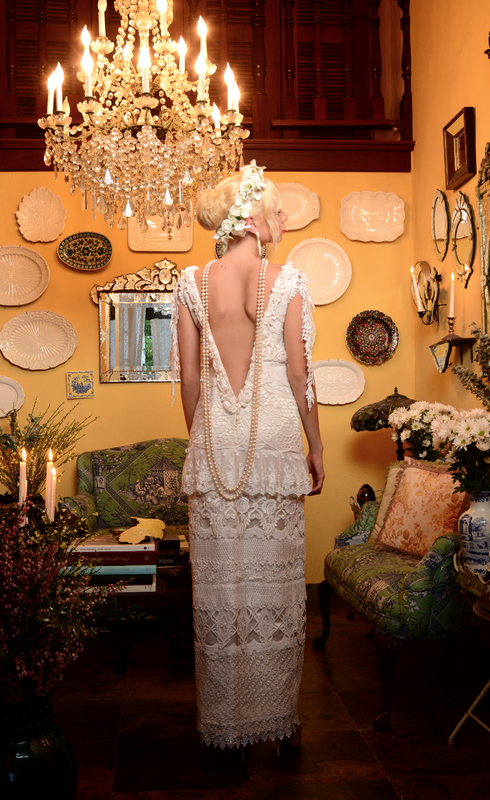 Enter and explore the unique world of the Cappalli Bride, where The "Vintage" elements meet the Modern bohemian bride. Our bride is timeless, she is sensuous and feminine. The Cappalli girl is all about individuality, personality and a certain girlie innocence. At Cappalli we believe in providing the best of the best! We strive for perfection, in construction and fit, in impeccable attention to detail and the constant search to provide our brides with the finest materials from all around the world. We approach the Design of each gown as an artist would approach a blank canvas! Richly Unique, Artistry at its best. Our love of lace is always evident in our rich, one of a kind "Collage" design element. Also, we hand embroider all of our fabrics, appliqués and lace trims remaining true to our Couture vision. Collage is Our signature! And our mission is for our bride to be Feminine, Singular, Romantic, Unique and Timeless.